The ThinkBoard is one of my favourite tools because it’s so versatile. It’s a simple ‘thought organiser’ – basically just four boxes, but the power of this tool lies in the fact that it asks students to represent their understandings in multiple ways. And that’s when we start to see evidence of a deep conceptual understanding. And isn’t that what we’re on about as teachers? Trying to get our students to show us what they know in as many ways as they can? Don’t stress – I’ll attach a PDF Thinkboard_template that you can print off. In the middle you can put the question you want students to solve or the idea you want them to represent or you might get them to write their name. 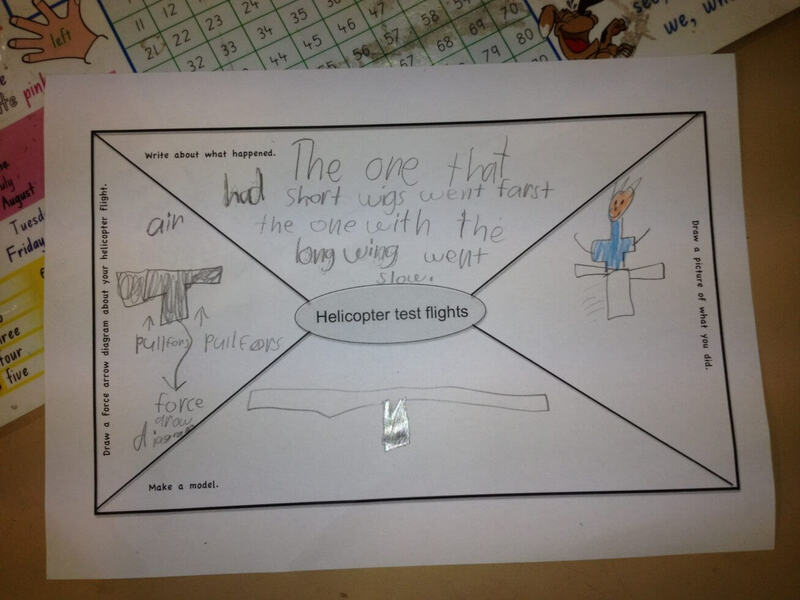 In the other four areas, students represent their ideas/ answers/ responses in different ways. I use the following basic ‘guide’ – but you can come up with your own. 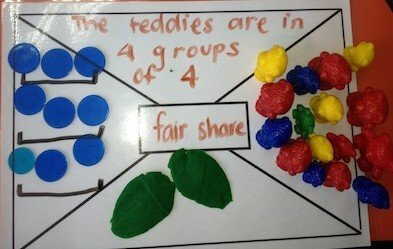 Okay – so after doing some work on creating a fair share and how we allocate things evenly I worked with students in small groups to represent their ideas on a ThinkBoard. I took a photo (see how I put their name tag nearby – I’m a thinker!) and hey presto – assessment evidence all collected. 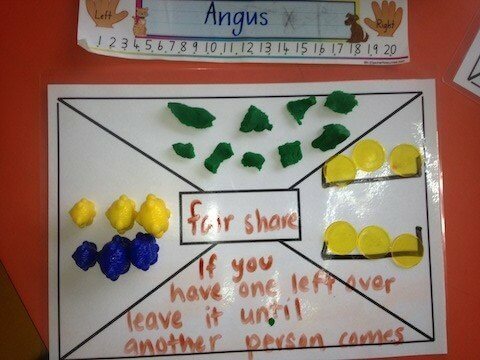 Quadrant 4 – I scribed for students after asking them to tell me something they know about how to do a fair share. So – how could you use this in your classroom? Have students consider the book they are reading or the novel you are enjoying as a class. Think about the main character. In quadrant one, find four websites the main character would like. In quadrant two, draw the main character. 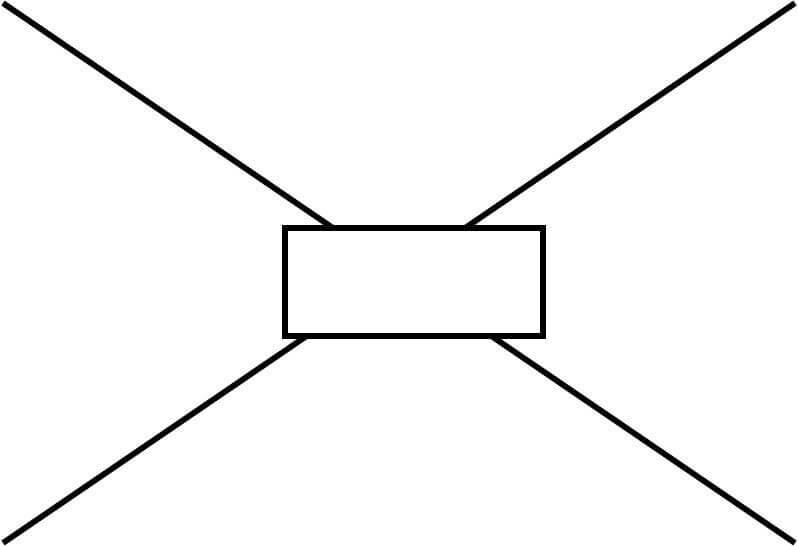 In quadrant three compose a ‘tweet’ the character might compose to describe his/her latest predicament. In quadrant four, suggest what might be coming next in the story. After studying insect life cycles in Science, provide students with large A3 ThinkBoards. In quadrant one, have them draw the life cycle. Quadrant two, have them write the cycle in words. Quadrant three, have them represent the cycle using other materials maybe play-dough, fabric, cardboard, pipe cleaners etc. Quadrant four, suggest that they are given magic powers to be able to ‘talk to the animals’ for just one day. What questions would they ask their insect? ThinkBoards are the bomb! They’re the never-fail, keep ’em thinking, not so boring, very-little-preparation kind of tool that brings real learning into our classrooms. What I enjoyed most about ThinkBoards was the opportunity for delicious ‘teachable moments’ that were unique to each child – and the same with feedback! So – hit the photocopier. Run off a class set of a4 size and laminate. When nobody’s looking, do an A3 set as well! Print a heap on plain paper, both A4 and A3 size and just keep them kicking around near your desk. Next time you find yourself contemplating a lesson that’s going to be kinda boring… consider the ThinkBoard. Chances are you’ll think of a way to make to it work! Hi there, I’m Tessa, I’m friends with Fiona and I’m sure we’ve met at one of the girls birthday parties at some point over the last few years! I’ve just started my teaching degree and am loving your blog. Love your passion and the classroom ideas you’re sharing. I’ve subscribed and am looking forward to reading your future posts. Thanks! Welcome to my world Tessa! Any friend of Fi’s is a friend of mine (isn’t she fabulous!?) Thanks for subscribing and reading and commenting. It gives me a real buzz! Good luck with your teaching degree – please join us in The Staff Room and share your learning journey. I’m sure that other teachers will be willing to share their ideas and thoughts and stories whenever you need an idea or guidance with something you are studying.